Miguel’s third studio album, Wildheart. Released 6/29. Miguel’s Wildheart is just that; unapologetic, spontaneous, and sensual. 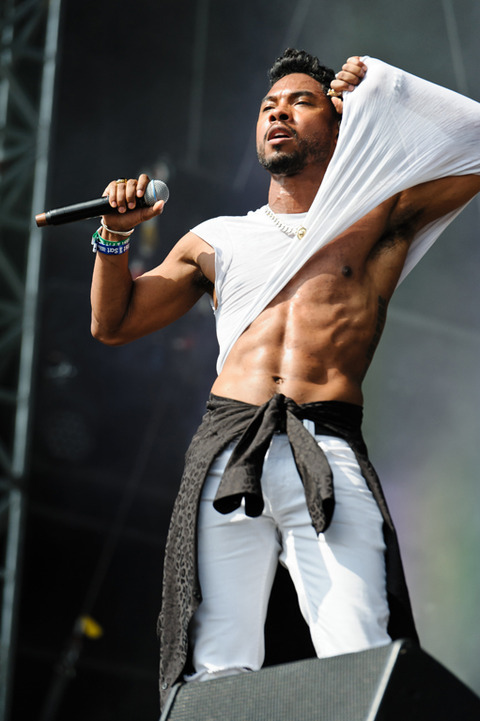 His third studio album will be released Monday (6/29) and it has easily perched Miguel on top of the R&B ladder. Miguel’s ear for electronics, vibe-y choruses, and overly sexualized lyrics keep him relevant and always on point. R&B is revitalized through the artistic eyes of Miguel, the visionary. Wildheart is a concept album focusing on West Coast influences as you hear sprinkled on every flawless track. Several 70’s vibes are filtered throughout this album on several songs; the sultry/dance tune “deal”, the clap-happy “wave”, and the easy-going “nwa”. There’s no denying, electric guitar and a heavy drum beat guide almost every song into an endless good vibe. Miguel’s voice echoes every guitar strum as smooth as melted butter in cookie batter. You say Miguel, I say…sexual. The amount of sexual innuendos are pretty much spilling through every song. Wildheart is definitely not an album to play in the van when you pick the kids up from school. “valley” is definitely one of the most explicit songs off the album; “I wanna f*** like we’re filming in the valley” just gives you an idea of what Miguel’s talking about here… A clear homage to the saucy side of California with racy lyrics to fit the cliché bill. Harmonies overlap near the end as Miguel leaves you in a trance-like state of mind. “Flesh” is another sexually charged anthem. Miguel’s falsetto takes shotgun as you ride through heavily sedated verses and low rumbling guitar. “I’m a slave to your flesh, woman put me right where I belong,” he sweetly sings in the 4 and a half minute tune. The lyrics may be super racy but songs like “what’s normal anyway”, “leaves”, and “face the sun” carry more weight lyrically. “what’s normal anyway” challenges the racial boundaries that we see and hear about everyday. “I look around and I feel alone, I never feel like I belong.” A more emotional side of Miguel. A bit of 80’s synth pops into the song near the end adding more of a melancholy feel. “What’s normal anyway” quickly turns into a proclamation of self love; “don’t let them change you, just be who you are.” Miguel proves he can still write a powerful love song with the gorgeous “face the sun” featuring Lenny Kravitz on the electric guitar. “leaves” serves as another ode to California just like he promised; “sweet California, I should’ve known better, cause the leaves don’t change.” Impeccable vocals and simple lyrics flood this song with strong symbolic meaning. One of Miguel’s finest off the album. For me, Wildheart is Miguel in his prime. He blows through everyone’s idea of R&B and creates a new age style that you can’t resist. A little bit of rock, funk, R&B, and pop thrown into a blender and you have the masterpiece that is Wildheart.